One year after state lawmakers passed a law allowing charter schools to operate in Alabama, only two of Alabama’s 137 school districts have registered to become charter school authorizers. No additional school districts registered to become public charter school authorizers prior to the March 1 deadline, according to a spokesperson for the Alabama State Department of Education. 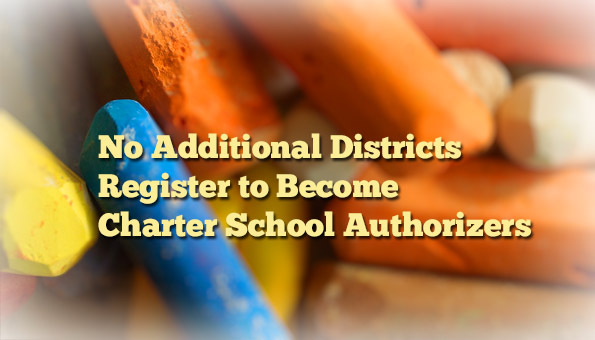 Only Athens City and Birmingham City school districts have completed the registration process and are confirmed as charter authorizers. Though it seems that districts are slow to register, it’s not that unusual, according to Emily Schultz, Senior Manager of Policy and State Advocacy for the National Alliance for Public Charter Schools. “This is a new role for districts and they’re trying to figure out what that looks like in the scope of all the rest of their work,” she said. 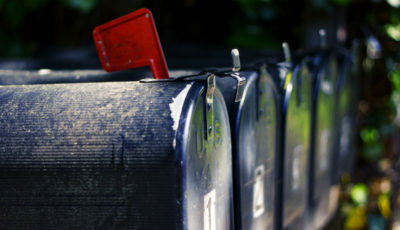 Last fall, four districts, including Athens and Birmingham City, registered, but two of those, Madison City and Bessemer City, never obtained authorizer status and did not re-register this year. Being an authorizer gives school districts full control over how charter schools might operate within their district’s geographic limits. Dr. Ed Richardson, chairman of the Alabama Public Charter School Commission, stated he does not expect any charter schools to operate in Alabama prior to the 2017-2018 school year. Richardson and other commission members have said they expect any charter school operator spend an entire year planning prior to opening the doors to students. The registration process isn’t simple. The law requires districts, through the registration process, to ensure specific components of the law are followed. Written notification of intent to serve as a charter authorizer in accordance with this act. An explanation of the local school board’s capacity and commitment to execute the duties of quality charter authorizing, as defined by nationally recognized authorizing standards. An explanation of the local school board’s strategic vision for chartering. An explanation of how the local school board plans to solicit public charter school applicants, in accordance with this act. A description or outline of the performance framework the local school board will use to guide the establishment of a charter contract and for ongoing oversight and evaluation of public charter schools, consistent with the requirements of this act. A draft of the local school board’s renewal, revocation, and nonrenewal processes, consistent with subsection (c) of Section 16-6F-8. A statement of assurance that the local school board commits to serving as a charter authorizer and shall fully participate in any authorizer training provided or required by the state. If the Office of Public Charter Schools determines boards have followed the components of the law, the state superintendent then informs the district that is registered as an authorizer. School personnel were given the opportunity to learn more about becoming an authorizer during information sessions held in March. Those meetings were well-attended according to Logan Searcy, Administrator in the ALSDE’s Office of Public Charter Schools. This link allows you to download the PowerPoint presentation shared at those meetings. 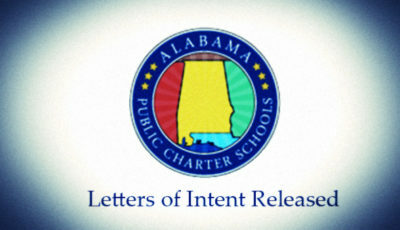 That information is also posted on the ALSDE’s Office of Public Charter Schools web site. Alabama became the 43rd state in the country to allow charter schools to operate. 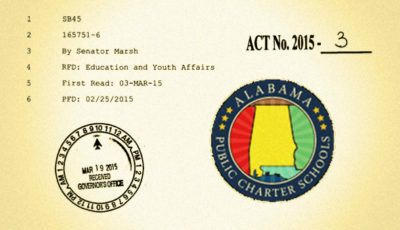 Alabama’s charter school law is highly regarded among national charter school groups. Last December, the National Association of Charter School Authorizers (NACSA) ranked the strength of Alabama’s charter school law at number four in the nation. Ratings were given based on “eight known best practices in state policy that ensure a consistent, high-performing charter sector,” according to NACSA. 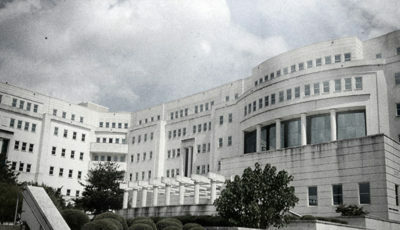 Alabama’s law includes all eight of NACSA’s recommended policies. While charter schools are new to Alabama, “we’re not reinventing the wheel”, Schultz said, adding, “There are school systems across the country that act as strong quality charter authorizers,” and Alabama’s school district officials could look to those systems to see how they, acting as authorizers, are ensuring that the charter schools that exist in their communities are strong. Districts must now wait until the next registration period to register as charter authorizers, which will likely open again next January.